PATTAYA: Boat sales, product sales and hot leads characterized the seventh Ocean Marina Pattaya Boat Show which wrapped up yesterday (Dec 2) at the Ocean Marina Yacht Club in Pattaya. Under blue skies, the popular outdoor marina front format was conducive to four days of business and leisure as more than 6,500 visitors from more than 20 countries attended the show. 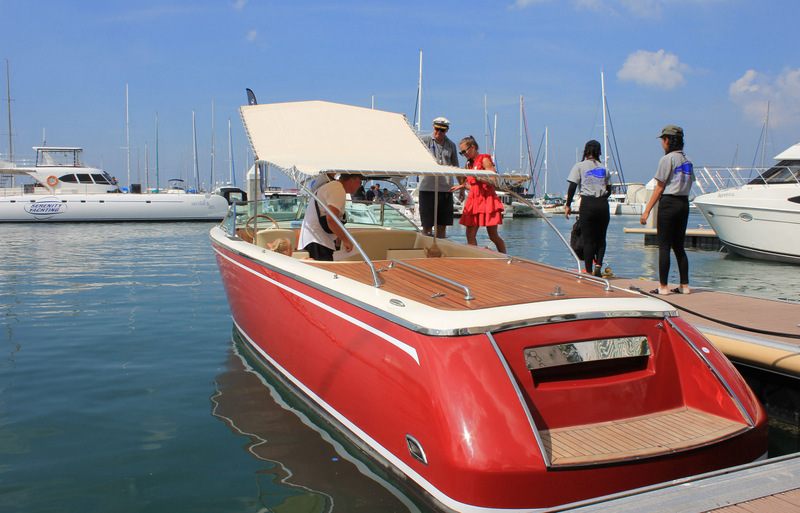 Boat dealers and brokers talked of “visitor quality” and leads secured at the show which having set-up test drives and trials post-show they aim to turn into solid sales. At the show, Pan Pacific Motorboats set a new record for the most boats sold onsite by a single exhibitor. 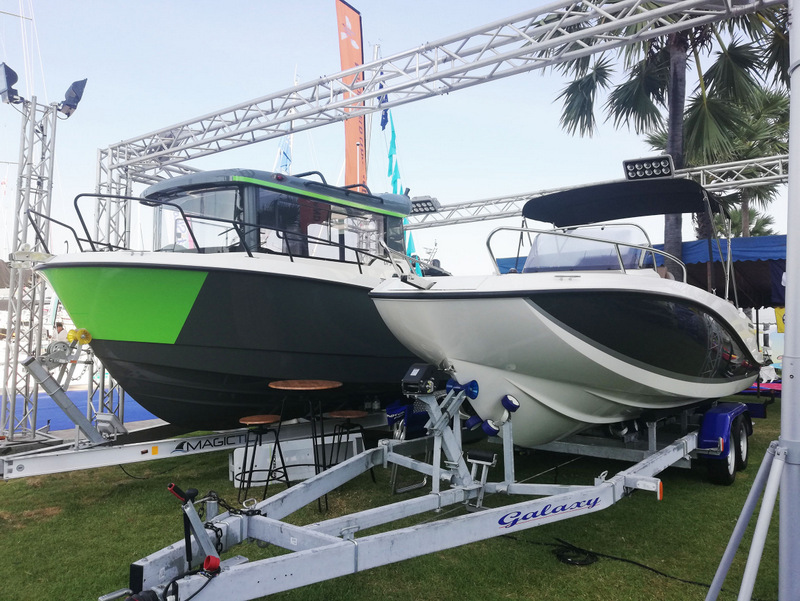 “We’ve had an excellent show securing four contracts over the first three days for our 27-foot Classic Motor Launch which is built here in Pattaya, and on the final day we sold the display boat to a customer from Taiwan and will be shipping it overseas immediately after the show,” said Alex Dales, Managing Director, Pan Pacific Motorboats. Looking to expand beyond their Nonthaburi base, Khana Yacht Charter were exhibiting for the first time at the show with their Carver yacht. “We offer both sales and charter and have had a lot of interest at the show in particular on the boat sales side. Our display has been busy throughout and I would say interest has been 80% from foreigners and 20% from Thais,” said Kanawut Banchakorn, Managing Director, noting that Khana Yacht Charter are looking to expand their business into Pattaya and later Phuket. Head turners in-the-water this year included the MCY96 displayed by Simpson Marine, who hosted a Venetian-themed VIP dock party to celebrate the award-winning yacht's Asian Premiere. Other luxury motor yachts included the Princess 68 being displayed by Boat Lagoon Yachting and the Aziumt 66 showcased by official distributor MGC Marine. New in-the-water this year was the Jeanneau NC33 which recently cruised up the Chao Phraya River in Bangkok to celebrate the launch of mega shopping mall ICON SIAM, and Sunseeker were exhibiting for the first time promoting their range of yachts and new luxury Sunseeker charter operation, Platinum Cruises. “It’s been a busy four days and a successful show. Feedback from exhibitors has been excellent with sales reported across the range of products on display – we’ve recorded more than B100 million of sales at the show, and with many boat dealers having confirmed solid leads. 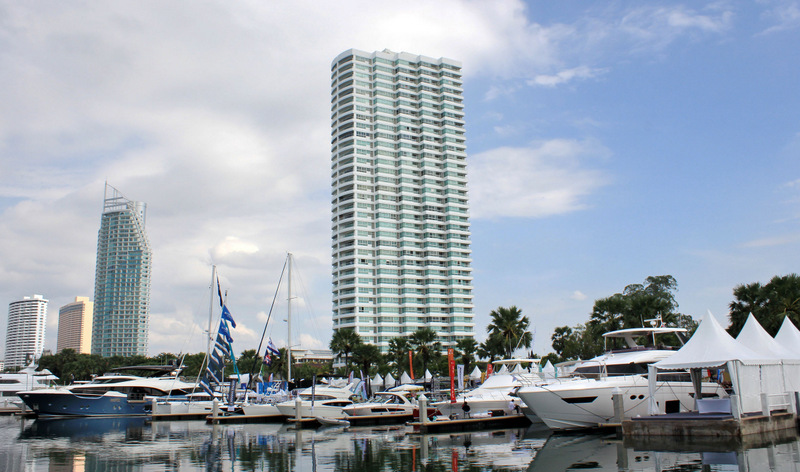 “I would expect that number to increase upto five times as additional sales are booked post-show,” said Scott Finsten, Harbour Master of Ocean Marina Yacht Club, organisers of the Ocean Marina Pattaya Boat Show. From trailer boats to Superyachts, there was something for everyone at the show, and for newcomers they could find out more from the sail training specialists Island Spirit. 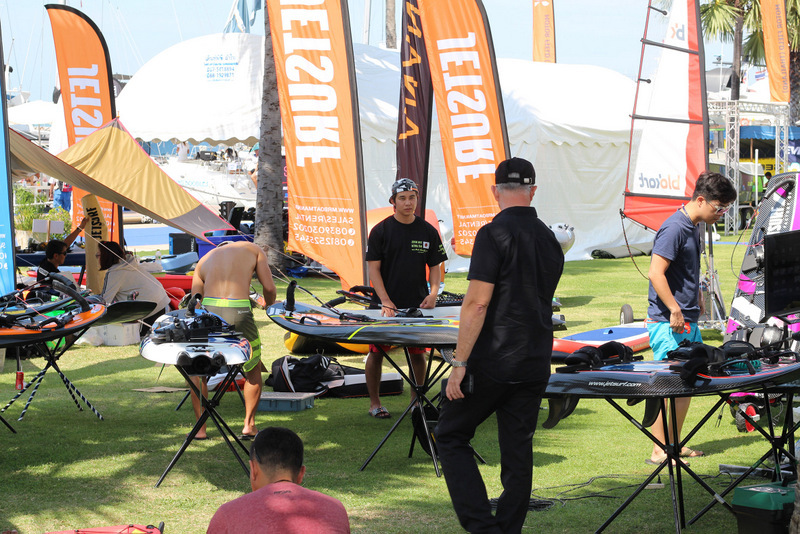 The increased water sports presence this year proved popular with jet-skis, sea scooters and more, as well as Mr Boatman displaying kayaks and water toys, daily JetSurf demos, and a JetSurf competition on the weekend that saw 30 riders from more than six countries compete. The successful free yacht cruises operated by Ocean Marina Yacht Club were busy throughout with visitors having the chance to go out on-the-water and get a taste of what the marine lifestyle is all about. Other exhibitors this year included insurance, boat care, marine products and accessories, luxury properties and an expanded food zone with pop-ups from leading restaurants along the East Coast as well as imported wines, beers, ciders and cocktails. “We aimed to expand the show this year and broaden some of the exhibitor products, and this has been well received by the visitors. In particular, the pop-ups and food trucks have been very popular and really added a festival atmosphere to the show with visitors staying much longer and coming back multiple times over the four days,” added Finsten. 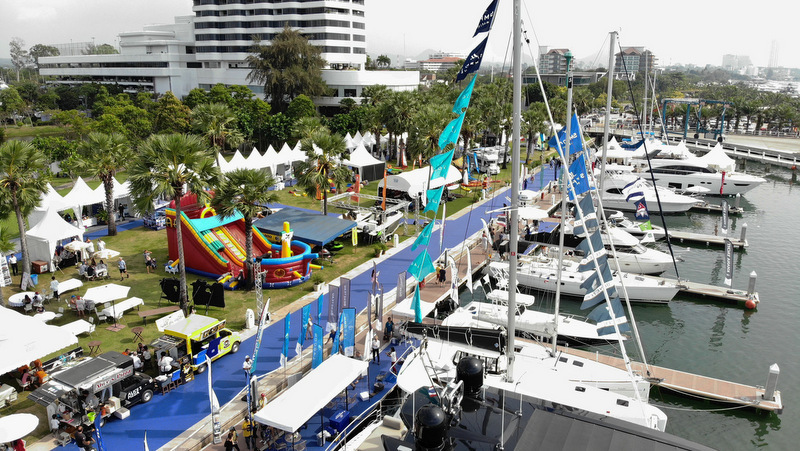 The dates for the eighth Ocean Marina Pattaya Boat Show are 28 November to 1 December, 2019 at Ocean Marina Yacht Club.